Maintaining the integrity of business computer systems and protecting customer and business data are critical concerns in today's environment. At ACF, we understand these concerns and know the damage that computer viruses can do. Businesses large and small virtually all use internet technology in some way. This makes having state of the art computer virus protection a must! Any computer with access to the internet or linked to a network with internet access is vulnerable to an ever increasing number of viruses, Trojans, worms, and malware. These malicious programs can potentially result in catastrophic damage to your software applications, internet, and internal network communications and can result in loss of business and customer data. Having first rate computer virus protection is not an option - it's a necessity! 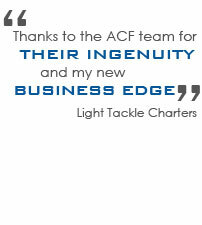 The consultants at ACF have many years of experience providing computer virus protection to businesses of all sizes. This experience plus our use of state of the art virus protection software and strategies have made us a leading antivirus software provider in the Tampa Bay area. New viruses are created all the time making virus protection an ongoing challenge. Let ACF worry about keeping your virus protection software up to date so you can focus on your business. With scheduled software updates and our ability to track the latest viral threats, you can have confidence that your antivirus software is always up to date and protecting your computer systems. Let us show you why we're considered among the best antivirus software providers in the Tampa Bay area! Already Have a Computer Virus? Do you suspect that your computer or network already has a virus? Do you want to eradicate it and protect your system the future? Let ACF help! We can install computer virus protection software that will eliminate harmful viruses and get you up and running in no time. Find out why our loyal customers say ACF Consulting is the best antivirus software provider in the Tampa Bay area!